We can do the same for you. Our Halo laser treatment by Sciton is a fast and effective way to reduce lines and wrinkles. You’ll notice results within the first few weeks. 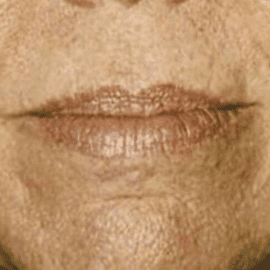 BBL and SkinPen Microneedling with PRP are additional ways to reduce fine lines and wrinkles. Beautifying your face is a big decision though, and you don’t have to make it alone. Stop by our office at 11813 Bee Cave Road near Austin, TX for a FREE appointment. We’ll sit down with you discuss which treatment is right for your specific needs. Over time, our skin begins to develop lines and wrinkles due to several different factors. A gradual loss of elasticity, fat, muscle, bone, and collagen results in a loosening and falling of the skin which leads to the formation of these pesky signs of aging. 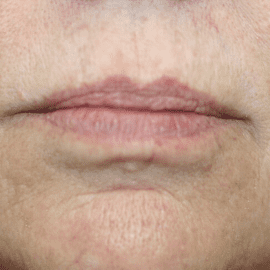 Repetitive motion such as frowning or smiling, or pursing the lips with smoking or drinking from a straw will lead to lines that become permanent over time if the motion continues. Sun exposure throughout your lifetime is also a big contributing factor to aging of the skin. Harmful sun rays cause a breakdown of essential substances found in healthy skin and leads to what we call photo-aging. For this reason, women and men who tan regularly often experience facial lines and wrinkles at an earlier age. If lines and wrinkles are getting in the way of you feeling like your youthful self, there are several treatments that can help restore smoother, firmer skin. 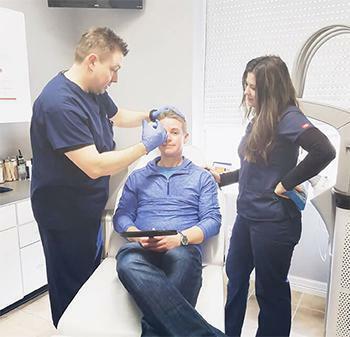 From laser and light treatments to injectables and fillers, we have the wrinkle treatments you need to dramatically improve the appearance of lines and wrinkles with natural-looking results. Please click on one of the treatments below to learn how it can help put an end to your lines and wrinkles.